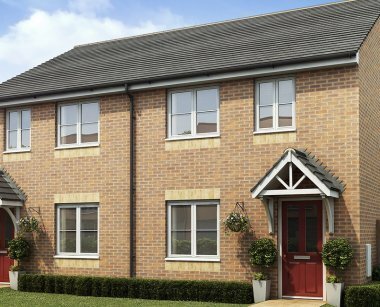 The Cerris Homes at Stoneley Park offer beautiful 2 and 3 bedroom homes ideal for first time buyers and families looking to live in a desirable semi-rural location. A stone’s throw away from Crewe’s town centre and with Nantwich only a few miles away, there are plenty of options available leisure activities. Stoneley Park is a semi-rural village which lies two miles North of nearest town, Crewe and six miles North of historic market town, Nantwich. Surrounded by stunning Cheshire countryside and local amenities just a short distance away, the village combines the best of both worlds. Crewe is home to a variety of shops, bars and restaurants, along with indoor and outdoor markets. There's also the opportunity to take in a show at the award-winning Crewe Lyceum or watch a Crewe Alexandra match. If boutiques are more to your liking, the medieval market town of Nantwich offers a comprehensive range of shops, cafés and bars. Music lovers can also enjoy the annual Jazz & Blues Festival, which takes place over the Easter Bank Holiday weekend. Serving the majority of the village is Mablins Lane Community Primary School, with Oakfield Lodge School and Frist Steps Pre School nearby. Located in Crewe are the Rusakin Community High School and the The Oaks Academy . Sandbach High School and Sixth Form is around ten miles away. Manchester Metropolitan University Cheshire campus is around four miles miles away, with Keele University just ten miles away.